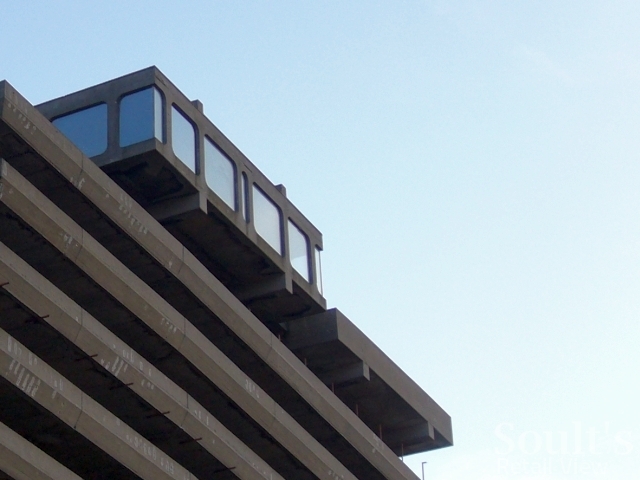 Since it opened in 1969, Gateshead town centre’s Trinity Square car park has been many things to different people, but always impossible to ignore. 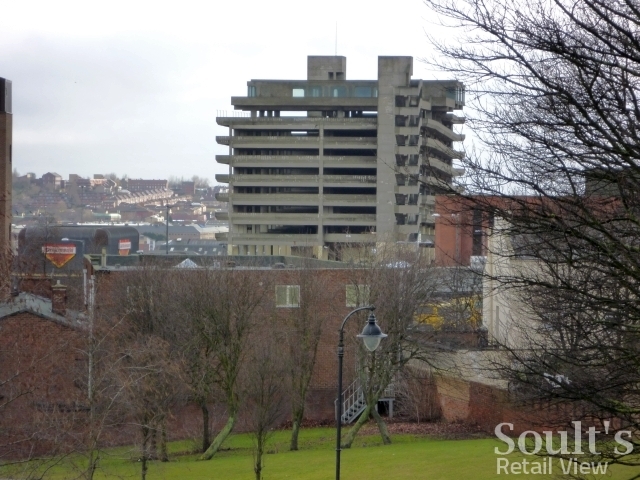 To some, it has been an icon of the architectural Brutalism movement; to others, an eyesore that has blighted the Tyneside skyline. It is perhaps most famous, however, as a backdrop to the 1971 film Get Carter, most notably the scene where Michael Caine’s character, Jack Carter, throws corrupt local businessman Cliff Brumby (Bryan Mosley) off the roof. 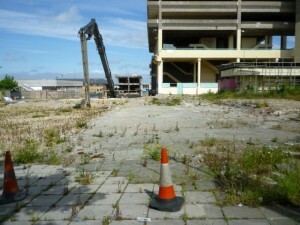 However, today – Monday 26 July – the bulldozers are finally set to move in and start razing the Get Carter car park to the ground. As the cranes that have sat dormant on the site for months – having already bulldozed the Trinity Square shopping centre and Indoor Market hall surrounding the car park – spring back into life, it’s appropriate both to reflect upon the history of the Get Carter car park, and to look forward to what is expected to replace it. 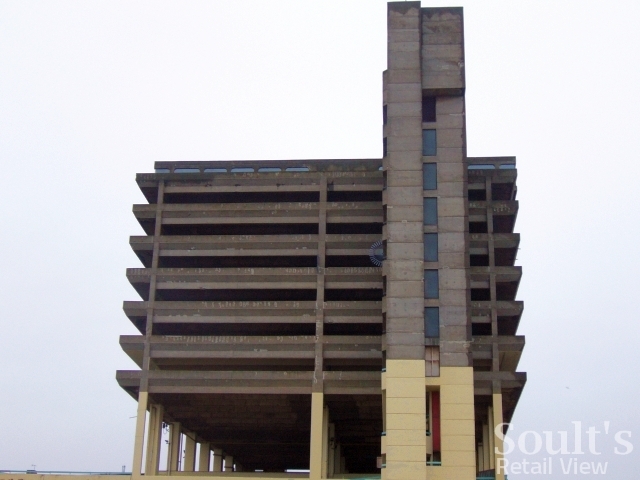 Trinity Square was designed in 1962 by Owen Luder – the architect responsible for Portsmouth’s now-demolished Tricorn Centre, as well as the Derwent Tower (better known as the Dunston Rocket), also in Gateshead, and itself slated for demolition. However, the development was not completed until seven years later, in 1969, when its uncompromising architectural style was already starting to fall out of favour. As an architectural statement, there’s no doubt that the car park is bold, dramatic and – against a blue sky, like in the photograph above – almost beautiful. However, the biggest problem with both the car park and the surrounding shopping centre has been, in my view, their inability to fulfil the functions for which they were designed. 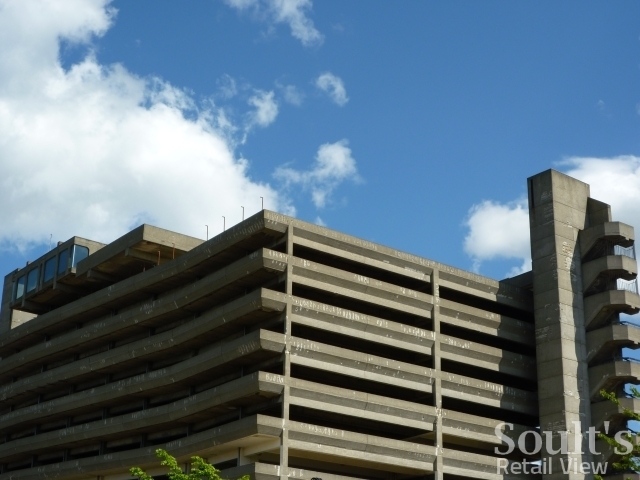 For example, several floors of parking have long been closed off due to structural problems, while the space intended for a rooftop restaurant has never been occupied. When I did some research on the building a few years ago I was struck to see that there had been several proposals, in the 1960s and 70s, to use the rooftop space, but none that had come to fruition. One scheme, bizarrely, was thrown out due to a “lack of parking”. 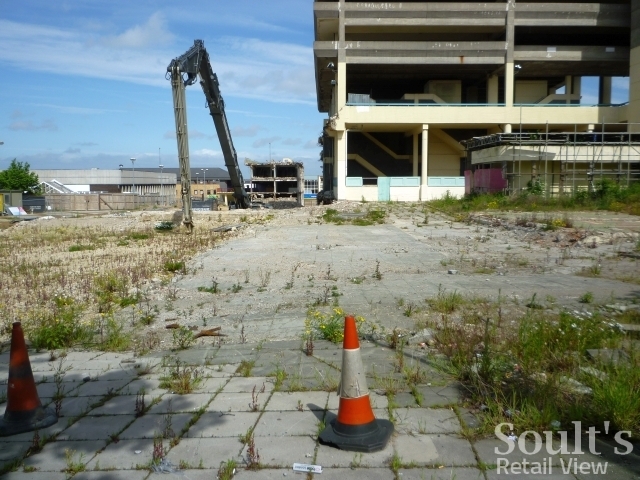 Meanwhile, in the shadow of the car park, the shopping centre itself has been a fairly miserable place in recent years – all concrete decks and grim spaces that face in on themselves, and that turn their back on the rest of the town centre. In short, it had become an unpleasant and poorly configured environment for both shoppers and retailers. With the prospect of demolition and redevelopment being raised in the 1990s, some – including Get Carter enthusiasts and the Twentieth Century Society – countered with the view that the car park should be designated a listed building. However, it’s difficult to see what other viable purpose the structure could have been used for. It might have lent itself to redevelopment as a gallery, Tate Modern style, but in converting the Baltic Flour Mill into a Centre for Contemporary Art, Gateshead already had one cultural centerpiece. 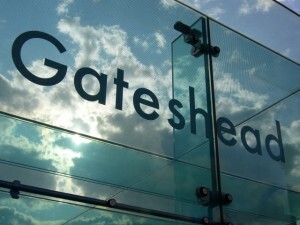 Given a structure that was unfit for its current use, difficult to convert to anything else, and – perhaps most critically – seen as a blight on a town centre that was successfully reinventing itself through new developments (such as the Baltic, the Sage Gateshead music centre, and the Gateshead Millenniun Bridge), demolition was always the most likely outcome. However, even once its fate was sealed, the demise of the structure has been a long time coming. 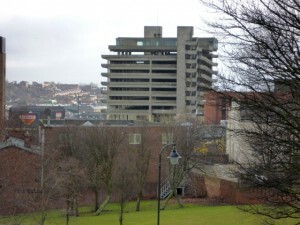 In August 2002, fans of Get Carter were “given the chance to visit one of Tyneside’s most famous movie locations before it is knocked down.” Five years later, in 2007, the structure was still there, but with demolition scheduled to “begin in the autumn” and redevelopment plans – by the landowner Tesco – the subject of a public roadshow around Gateshead. 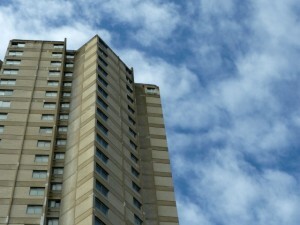 In September 2007, demolition was delayed, before then being set for March 2008. In April that year – with the structure clearly still in situ – it was “opened to the public for one last time”. 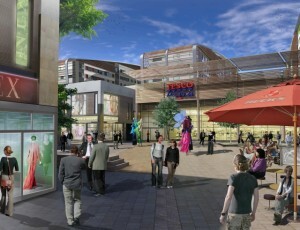 In September 2008, however, it was confirmed that demolition was “on hold” – but still intended to go ahead ASAP – while the planning application for the site’s redevelopment was finalised. 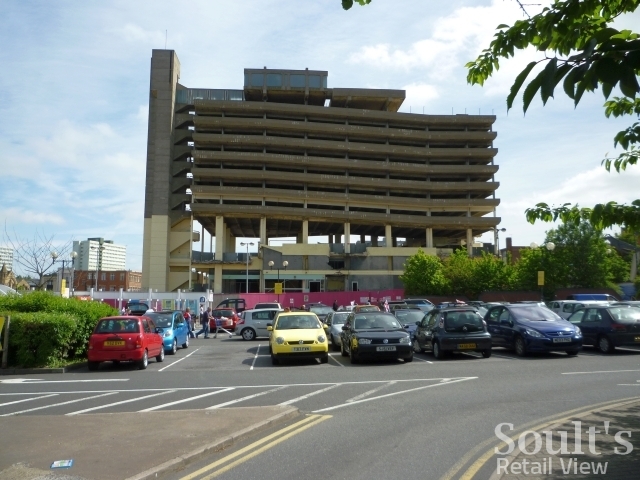 The car park was finally closed to the public in January 2009; pledged to “be demolished in the next few months” in August last year; but put on hold again in December pending the development of “satisfactory” plans for the redevelopment of the town centre. 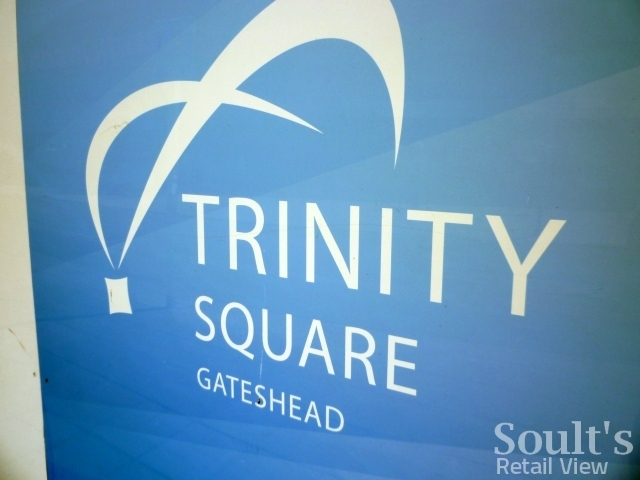 Finally, last month, demolition plans for the car park were confirmed following the signing of a development agreement between Gateshead Council and Tesco, with a firm date of Monday 26 July later announced. Now, with demolition due to begin in just a few hours, it seems hard to believe that the car park is finally going to disappear from the skyline after so many false starts. Once the car park is gone, attention will turn fully to what will replace it. Spenhill, Tesco’s regeneration subsidiary, finally submitted its planning application for the site earlier this month. Covering the demolished Trinity Square as well as the site of the existing Tesco store (still currently trading), the proposed development – still to be known as Trinity Square – will include a Tesco Extra as well as 45 other retail units of up to 30,000 sq ft, offices, 900 student beds, a new town square, parking, and (potentially) a hotel. In eastern Europe, it’s not unusual to find a large Tesco department store sitting in a prime location within a town or city centre. 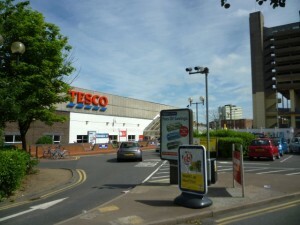 From a UK perspective, however, it would be easy to fear that a development led and anchored by Tesco would take the form of a retail box surrounded by a sea of car parking. Happily, the artist’s impressions and intended mix of uses seem very promising. 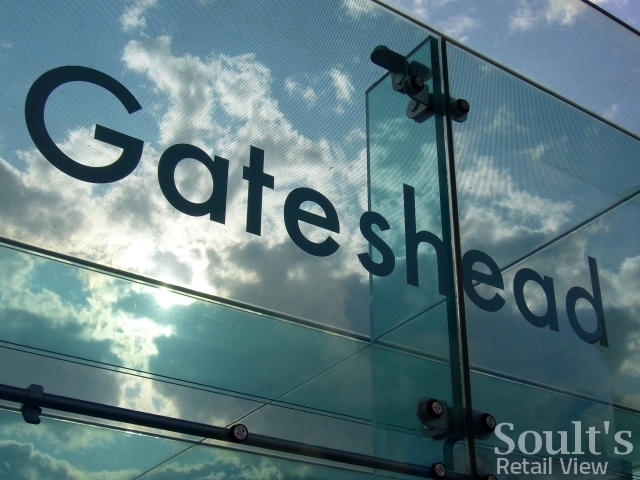 On the retail side, for example, there will now be more – and larger – units than were suggested during the earlier consultation, while office uses are a logical extension of the successful commercial property developments that have taken place on Gateshead Quays. Perhaps most importantly, the student accommodation and hotel – hopefully with accompanying bars and restaurants – should bring some life after office hours to a town centre that is currently very quiet once the shops close. I’ve always held the view that this once-in-a-lifetime investment in Gateshead town centre needs to mirror the quality of the neighbouring quayside developments, rather than settling for something ordinary. 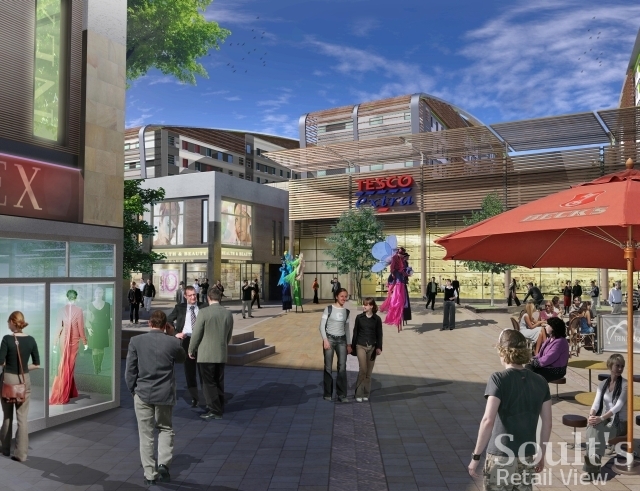 If, as seems to be the case, the Tesco store is properly integrated, visually and physically, into a wider scheme that is bold and modern, then the whole development should be a real boost for Gateshead. 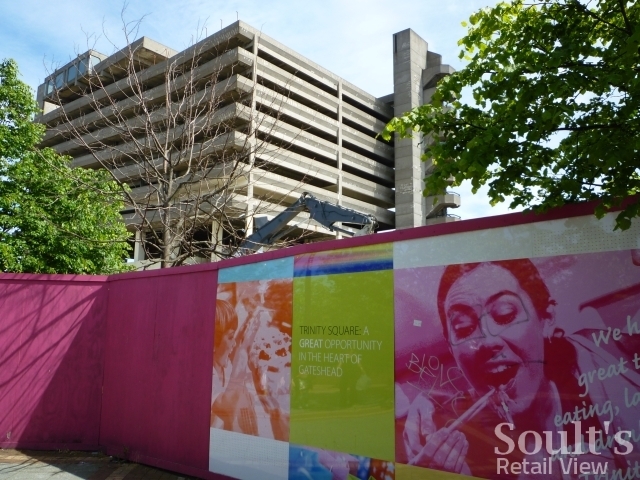 More than anything, the demolition of the Get Carter car park has been compelled by the promise that something better will replace it. 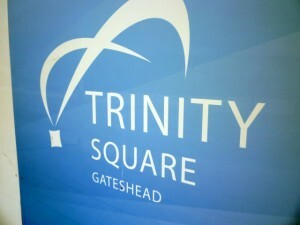 It’s now up to Gateshead Council and Tesco to make sure they deliver on that promise, so that Gateshead residents can add Trinity Square to the growing list of local landmarks of which they are rightly proud. It’s interesting how peoples’ views change over time: I clearly recall the outcry when “The Angel of the North” was first proposed, with all the criticisms of Traffic Hazard on the A1 through to “ruining the view from nearby housing” being well aired. 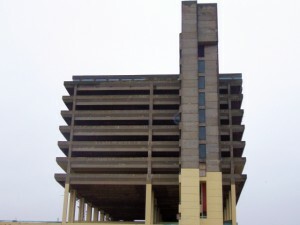 recently, however, it has been suggested that the Angel itself be removed and replaced, and these same people are now saying, “You can’t do that – it’s one of the great symbols of the northeast!” The old Trinity Square carpark would, in common with so many other sixties structures around the country, still be in current use had it not succumbed to it’s inherent structural problems. Indeed, had it not been for the fame of “Get Carter”, then no-one would have noticed it at all while it was standing, and missed it even less now it’s gone! I’m delighted that the hideous “Get Carter Car Park” has gone. I don’t know of one single long term resident who liked it, or thought it should be kept. All the people who said that were from Bath, Birmingham, Bristol…in short, far-off places whose residents didn’t have to live with the monstrosity and look at it almost every day. The replacement may not be the most distinguished architecture around but, in my view, it will be both functional and attractive – both characteristics sorely lacking in Owen Luder’s construction. What a pile of toss. For comments on ‘properly integrated, visually and physically’ see CABEs comments that discredited the integration and scale of the design. And as for ‘bold and modern’ – the car park was both of them. The 3dRied proposals are more like ‘underwhelming and mediocre urban sprawl’. There is nothing bold or modern about the proposals. I’ll be sorry to see it gone. I have an apartment in Newcastle that faces south-east and it’s the highlight of my view. I know it’s a ghastly building that’s never been fit for purpose, but as a movie buff and a Geordie, I can’t help thinking that a unique element of our shared cultural and architectural heritage is being obliterated. 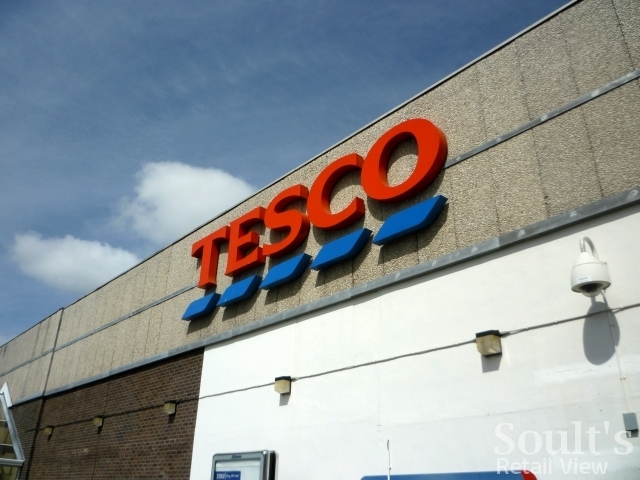 Soult's Retail View » Has Britain fallen out of love with Tesco?